Destroying a village for the 90th time. The insanity of Israel. Sometimes the news of the day is hard to fathom. Stephen Harper campaigning with the Ford brothers would be an example, or the recent announcement that neo-Nazi groups in the Excited States are now endorsing Donald Trump. The cartoon craziness in those two images is almost unbelievable. And then there is a news item from Israel that completely boggles the mind. 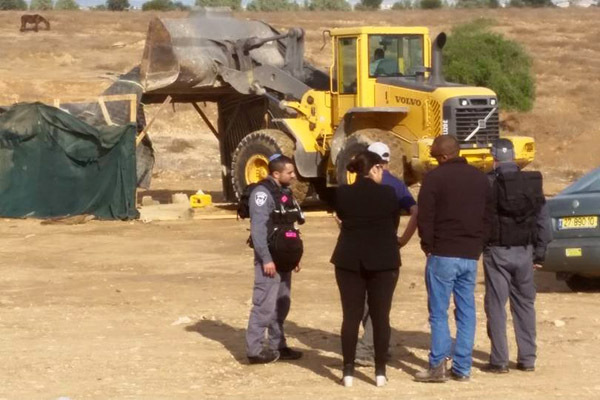 Israeli authorities have demolished a small Bedouin village in the Negev. As it stands this story is not out of the ordinary in the apartheid state of Israel. 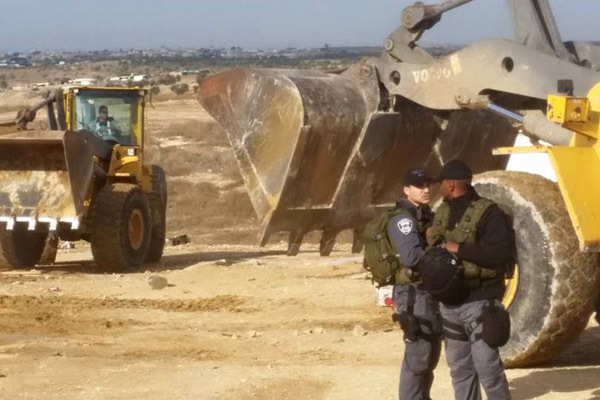 The catch in today's news is that they demolished the village of al-Araqib for the 90th time since 2010. 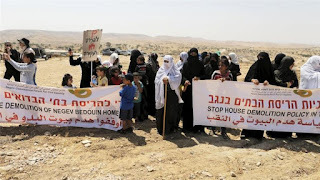 Al-Araqib is one of more than 40 "unrecognised" villages scattered across the Negev in Israel's south. The inhabitants are all Israeli citizens and most are Bedouin Palestinians. 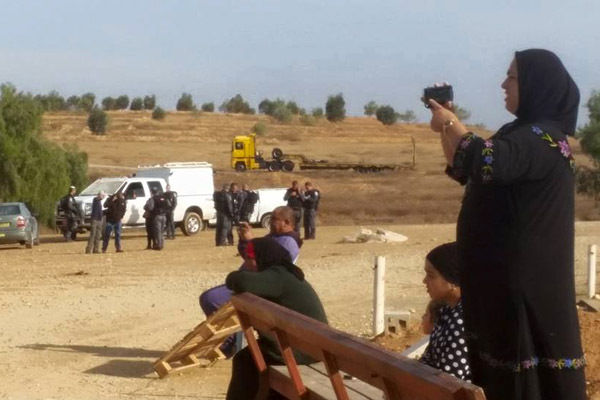 The villages are usually denied state services, including water, electricity and education, according to the Association for Civil Rights in Israel. In the case of al-Araqib, the village is made up of about 22 families of just over 110 citizens. Israeli citizens remember. The destruction of this particular village has become so routine that today, only two police officers and two bulldozer crews did the job of levelling the shacks and lean-tos. Five years ago the authorities destroyed the brick homes the villagers had built after the previous demolition. There isn't much point to building anything substantial because it will be destroyed again, if not this week, perhaps next. Israel claims the villagers' homes were built without permits, while locals say they were placed on the land after being displaced from their original towns and villages during Israel's establishment in 1948. Today, as on other days, the residents stood helplessly as their remaining resources, lumber, canvas and tarpaulin sheets, were destroyed. This day, as on 89 other days, they rescued a few possessions; kitchen utensils, mattresses, children’s playthings and some chairs. Then, for the 90th time, they stood back and watched the bulldozers destroy their homes. And they took photos. Where do the people find the strength to stay and the will to rebuild yet again? How do they keep from breaking? And why does the Israeli state keep acting out this insanity? Then again, since October 1, Israeli forces, or settlers, have killed 64 Palestinians, including unarmed protesters and bystanders, across the whole of Israel, the occupied West Bank and the Gaza Strip. 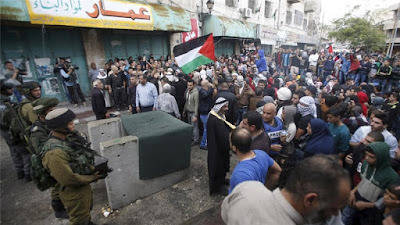 This is the insanity, and the apartheid, that is Israel. First photo by Reuters. Other photos by al-Araqib resident, Aziz Alturi. Final photo by Mussa Issa Qawasma for Reuters. Text copyright 2015 by Jim Murray.